Toronto Maple Leafs: Andersen (Sparks) – Hainsey, Rielly (A), N. Zajcev, Muzzin, Marinčin, Holl – Marner (A), Tavares, Hyman – W. Nylander, Matthews, A. Johnsson– Kapanen, Kadri (A), Marleau – Co. Brown, F. Gauthier, Moore. Florida Panthers: Montembeault (Luongo) – Ekblad(A), Matheson, Weegar, Yandle, Brown, McCoshen – Dadonov, Barkov (C), Huberdeau (A) – Hawryluk, Trocheck, Hoffman – Brouwer, Sheahan, Vatrano – Malgin, Borgström, J. McGinn. New Jersey Devils: Schneider (Blackwood) – Severson, A. Greene, Butcher, Müller, Santini, C. Carrick– Noesen, Zajac, Coleman – Palmieri, Hischier, Agostino– Stafford, Zacha, Wood – M. McLeod, Rooney, Gabriel. Buffalo Sabres: Ullmark (C. Hutton) – Pilut, Ristolainen, Dahlin, Montour, Scandella, C. Nelson – Sheary, Eichel, A. Nylander – Skinner, Rodrigues, S. Reinhart – Sobotka, T. Thompson, Pominville – Girgensons, Jo. Larsson, Okposo. New York Rangers: Georgijev (H. Lundqvist) – Shattenkirk (A), Skjei (A), DeAngelo, Claesson, Pionk, Gilmour, Br. Smith – Bučněvič, Zibanejad (A), Lemieux – Lettieri, Chytil, Naměstnikov – R. Strome, L. Andersson, Vesey – Nieves, B. Howden. Pittsburgh Penguins: M. Murray (DeSmith) – Trotman, Dumoulin, J. Schultz, J. Johnson, Gudbranson, M. Pettersson – Rust, Crosby (C), Guentzel – Kessel, Blueger, McCann – Hörnqvist (A), Bjugstad, Simon – G. Wilson, Cullen (A), A. Johnson. Tampa Bay Lightning: Vasilevskij (Domingue) – Hedman, Sergačjov, McDonagh (A), Černák, Coburn, Rutta – Palát, Stamkos (C), J. T. Miller – T. Johnson, B. Point, Kučerov – Killorn, Cirelli, Joseph – Erne, Paquette, Callahan (A). 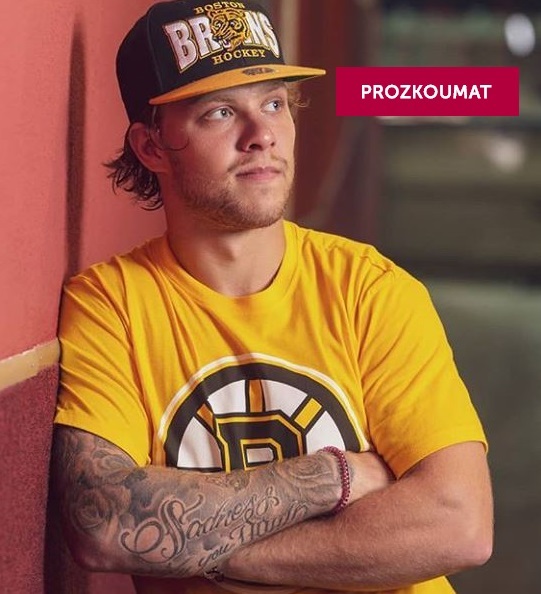 Boston Bruins: T. Rask (Halák) – Chára (C), McAvoy, Carlo, Clifton, Kampfer, J. Moore – Marchand, Bergeron(A), Pastrňák – DeBrusk, Krejčí, Kuhlman – Heinen, Coyle, Wagner – Nordström, Acciari, Backes (A). Winnipeg Jets: Hellebuyck (Comrie) – Beaulieu, Trouba, Chiarot, Niku, D. Kulikov, T. Myers – Ehlers, Scheifele (A), Wheeler (C) – Connor, K. Hayes, Laine – B. Tanev, Lowry, Little (A) – Perreault, Copp, Hendricks. Hlavní trenér: Paul Maurice. Dallas Stars: Bishop (Chudobin) – Lindell, J. Klingberg(A), Heiskanen, R. Polák, Fedun, Lovejoy – Ja. Benn (C), Seguin (A), Dickinson – Janmark, Hintz, Radulov – Cogliano, Faksa, Comeau – Ničuškin, Dowling, B. Ritchie. Hlavní trenér: Jim Montgomery. Minnesota Wild: Dubnyk (Stalock) – Spurgeon (A), Suter (A), Hunt, Brodin, Pateryn, Seeler – Read, E. Staal(A), Fiala – Åberg, V. Rask, Zucker – Donato, Kunin, Greenway – J.T. Brown, Fehr, M. Foligno. Nashville Predators: Saros (Rinne) – Ellis (A), Josi (C), P. K. Subban, Ekholm, Y. Weber, Irwin – Arvidsson, Johansen (A), F. Forsberg – C. Smith, Turris, Mikael Granlund – B. Boyle, Bonino, Sissons – Simmonds, Järnkrok, Pitlick. 3. Ryan O’Reilly (STL), 1+0. St. Louis Blues: Binnington (Allen) – Pietrangelo (C), Dunn, Parayko, Bouwmeester, Bortuzzo, Gunnarsson – Tarasenko (A), R. O’Reilly, B. Schenn – Perron, Sundqvist, Schwartz – Thomas, Bozak, Maroon – Steen(A), Barbašev, Sanford. Vegas Golden Knights: M. Subban (Lagacé) – Engelland (A), Schmidt (A), Holden, McNabb, C. Miller, Merrill – R. Smith (A), W. Karlsson, Marchessault – Mark Stone, Stastny, Tuch – Carpenter, Eakin, Nosek – Reaves, Carrier, Zykov. Calgary Flames: M. Smith (Rittich) – Brodie, Giordano(C), Hamonic, Hanifin, R. Andersson, Fantenberg – E. Lindholm, Monahan (A), J. Gaudreau – Frolík, Backlund, Tkachuk (A) – Czarnik, Jankowski, Neal – Hathaway, D. Ryan, Mangiapane. Los Angeles Kings: J. Campbell (Quick) – Doughty (A), Forbort, Roy, Martinez, Walker, Phaneuf, MacDermid – D. Brown, Kopitar (C), Iafallo – Toffoli, Kempe, Grundström – Lewis, J. Carter (A), Clifford – Brodzinski, Wagner. Filip Hronek (DET) 0+0, 1 střela, čas na ledě 16:12. 3. Jonathan Bernier (DET) 39 zák., 2 gól, 95,1%. San Jose Sharks: M. Jones (Dell) – Burns (A), J. Ryan, Heed, Vlasic, Braun, Dillon – Nyquist, Couture (A), Meier– Donskoi, Hertl, E. Kane – Labanc, J. Thornton (A), Sörensen – M. Karlsson, Goodrow, Radil. Detroit Red Wings: J. Bernier (Howard) – Hronek, DeKeyser, Bowey, Kronwall (A), Ericsson, Witkowski, McIlrath – Mantha (A), D. Larkin, Bertuzzi – Hirose, Athanasiou, Glendening – Helm, Nielsen, Kuffner – Puempel, Ehn.